Two bodies representing the fleet industry are calling for clarification in the Budget on long-term company car tax rates and measures to make plug-in vehicles more attractive to fleets. The Association of Car Fleet Operators (ACFO) and the British Vehicle Rental and Leasing Association (BVRLA) have urged the Chancellor to use the Budget on Wednesday, March 19, to encourage the take-up of ultra-low emission vehicles (ULEVs). Both organisations, as reported by Fleet News, want the Government to ditch its plan to increase the benefit-in-kind (BIK) tax rate on electric vehicles from zero to 5% in 2015/16. Currently, drivers who choose a plug-in vehicle with zero emissions do not pay any BIK tax, but they will face a tax bill for the first time next year. ACFO and the BVRLA both believe that will damage demand. ACFO director Phil Redman called on fellow fleet decision-makers to lobby their local MPs about the BIK tax rise. With electric company cars on a four-, five- or six-year operating cycle, Redman says company car drivers also need to know the tax position well into the future. 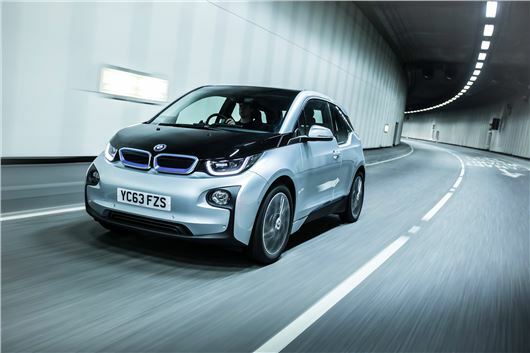 Nevertheless, at IBM, where Redman manages a 4,000-strong company car fleet and 5,500 cash allowance drivers, five employees have selected EVs with orders placed for a further seven, including six BMW i3s. Anna West, head of consumer initiatives at the Office for Low Emission Vehicles, said the Government was committed to maintaining a two percentage point differential between the 0-50g/km and 51-75g/km BIK tax band in 2015/16 and beyond, but that the Treasury “was unable to maintain” the 0% rate on zero emission models. Company car tax rates will increase from April 6 and have been announced for the following two tax years, 2015/16 and 2016/17, but are unknown from 2017/18 onwards. ACFO is calling on the Chancellor to clarify the rates for 2017/18, so that fleets will again have a four-year cycle of advance notification of thresholds. Both it and the BVRLA also want the Chancellor to announce that BIK should be calculated according to the price of the model minus the £5,000 plug-in car grant. EV mileage reimbursement rates for company cars (Advisory Fuel Rates) and privately-owned cars on business trips (Approved Mileage Allowance Payments) remain to be clarified, despite repeated ACFO requests. However, West said that OLEV was working with HMRC to try and develop a new regime and “guidance will be published soon”.